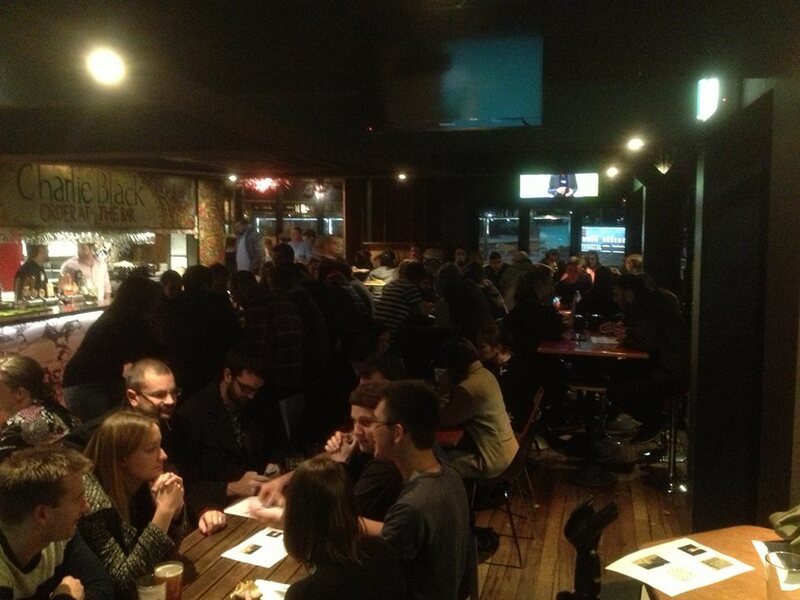 iQ Trivia began at a pub in Canberra in 2012, and has branched out into other locations in other cities. Our guiding principle is that a good trivia question is one that gets you talking with your friends. Whether they get them right or not, getting players engaged in interesting questions is the key. At our first venue we built up a solid core of regular trivia players on what was for them an otherwise quiet night. On big nights we had over 100 people, and most nights we wound up with 60-70 in a relatively small venue, all of whom spent money and most of whom wound up having dinner. Other venues have had similar results. New trivia nights take some time to build up but with consistency and promotion other venues can certainly achieve similar results. We promote our shows through social media (as do the individual venues), and we list our shows on sydneytrivia.com.au which lists the best independent trivia shows in town. The format of our quizzes is two rounds of 20 questions. Answers are marked at halftime so people know how they’re doing and have time to order another round of drinks. The questions cover a broad range of subjects. There are picture questions, audio questions, and bonus questions, where we ask a question and the first team to write down the correct answer and show it to the host wins a small prize or a bonus point. There’s also a homework question at the end of each quiz, which teams are able to look up on the internet enabling them to come in with free points. We e-mail a reminder of the quiz and the homework question earlier in the week to everyone who wants a reminder. Teams also get a bonus point for their team name, provided the team name fulfils certain criteria that are announced every Sunday on Facebook, Twitter, and the website. All this is aimed at encouraging regular attendance. We differ from other trivia outfits in the kind of questions we ask. We are willing to ask questions that we don’t think anyone will actually know, but that teams can figure out over the course of the evening. We ask questions that are designed to get people debating with their friends rather than questions people will either know immediately or have no idea about. We also like to give points for particularly interesting wrong answers. That way, if people don’t know the answer, they can have some fun with it. We like to tell people that if you’re going to be wrong, be wrong with style! The whole quiz takes a little over two hours. We maintain a steady cadence of one question every two minutes so people have time to think but don’t get bored. Hosts generally hang around for a while afterwards to talk to regulars, as the more engaged the host is, the more fun everyone has, and the more likely players are to come back. A standard weekly iQ Trivia quiz hosted by one of our professional hosts costs $240 per show. If you want the quiz to be customised, we can arrange to insert custom questions for an additional fee. A standard one off show for corporate events, fundraisers, or parties hosted by one of our professional hosts costs $340. If you would like a customised quiz with questions tailored to suit your audience, we can accommodate you for an additional fee depending on how specific your requests are. Overall, the cost is considerably less than other trivia outfits for Australia’s most interesting trivia.